On Wednesday evening, A.S. Council passed its 2017–18 Executive Budget after a series of errors which required the council to make substantial changes to the budget. The budget was initially prepared on Oct. 13, but the Student Life Business Office gave the financial committee incorrect numbers of the fixed amount of money it was allowed to spend, putting the council in a $110,000 deficit. A.S. Council was only informed of the mishap hours before the meeting. The miscalculation set the council back significantly, necessitating intensive examination and discussion of various allocations throughout the approval process. Financial Controller Andrew Thai introduced a series of amendments made by the financial committee just prior to the meeting, including a removal of the $5,000 Basic Needs Initiative, a $5,000 cut to the Programming and Outreach section of the Office of Spirit and Athletics, and a $30,000 cut to the Office of Student Organization’s unallocated funds. These amendments passed without debate, and the council began the budget review with a deficit of $4,831.70. The Office of Concerts and Events received a $37,000 increase from last year. The A.S. Safe Ride Reserve took a $2,000 cut, and after a low turnout rate for the 2017 A.S. Council elections, the A.S. Elections fund doubled to $5,000 from last year’s $2,500 budget. A major point of contention was the budget for the Office of Spirit and Athletics, which stood at $18,000 after its initial $5,000 cut, totalling a $10,000 cut from last year’s budget. Meri Yedigaryan, associate vice president of Spirit and Athletics, pointed out that increasing sports game attendance is crucial since UC San Diego is still attempting to gain Division I status. When asked to explain the operations of the office, Associate Vice President Yedigaryan was only able to offer vague answers concerning collaboration. This was directly followed by a motion to remove $2,000 from the office’s $11,000 Programming and Outreach initiative. The motion was objected, opening up a lengthy and increasingly personal debate spanning a series of impassioned responses. Senator Tapia argued that the office should collaborate with the six college councils to garner school-wide spirit funds. Siegel Singh, a Sixth College senator, warned against assuming that college councils have the necessary funds for various initiatives. 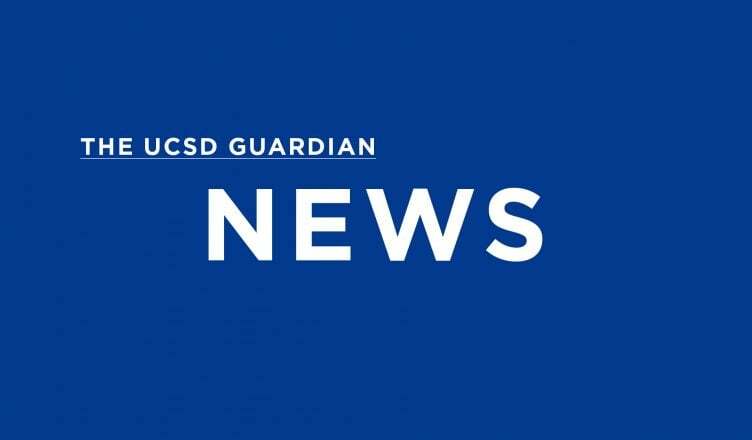 Senator Feeney argued that a cut totalling $12,000 is too much for any one office and that UCSD already lacks school spirit. He claimed, “I will vehemently oppose [the motion] to the end of this vote.” Associate Vice President of Local Affairs Denasia Gaines questioned the ethics of the office’s budget and whether it was really for the good of the students. She additionally claimed that she couldn’t see how $2,000 was correlated to increasing student attendance. Vice President of Internal Affairs Matthew Arrollado came to Yedigaryan’s defense, explaining that the office’s previous associate vice president did not personally support her for the position and therefore did not transition her, leaving her in the dark about the details of the office’s operations. After several motions and attempts to close the ongoing debate, President Figueroa moved to call the budget to question as it is and plan to work with it later on, adding that she would work with Yedigaryan personally. The motion passed, and the Spirit and Athletics budget was finally approved as is at $18,000 by a 23–3–3 vote. A recurring issue throughout the meeting was the concept of reallocating funds. Many senators and associate vice presidents were under the impression that money being used for a particular office could be reallocated anywhere within that office. One instance of this occurred when Helen Cao, associate vice president of Student Organizations, made a motion to increase the stipend for the Chief of Staff and special projects manager of the Office of Student Organizations. She revealed that she hoped to use the funds for programming interns and explained that the stipends would allow for “better management of funds we allocate to student orgs.” When a new motion was made to reallocate funds already within the student organization’s budget, President Figueroa reminded the council that reallocation of funds is a decision for all A.S. senators, not just the associate vice president of a particular office. Unallocated funds belong to the entire pool of A.S. funds. Ultimately, the amendment passed and the motion to increase stipends was approved, increasing the senior associate vice president of Student Organizations stipends by a total of $500. A similar problem arose when the All Campus Commuter Board chair objected to the $3,600 ACCB stipends budget, citing a plan to create a vice chair of internal affairs in addition to the existing vice chair of external affairs. Unlike the potential student organization interns, these positions had already been appointed by ACCB. When Vice President Arrollado announced that the new position would create a deficit, a motion was made to reallocate money from Tournament and Competition unallocated funds, a line item in the Office of Student Organizations. President Figueroa reiterated that the reallocation of funds is not one office’s decision, and Senator Tapia called out the sense of entitlement attached to the notion that funds belong to a single section. Still, the motion passed 21–1–3, and with that, the 2017–18 budget was approved. After the meeting, Figueroa reflected on the need for better transitioning of and communication with associate vice presidents. Concerning the numbers mishap, she announced plans to ensure that A.S. Council is receiving information “accurately and more consistently” via a more “direct communication” with the SLBO — an organization that A.S. Council pays full-time to do its paperwork. The meeting lasted seven hours, finally ending at 1:01 a.m.